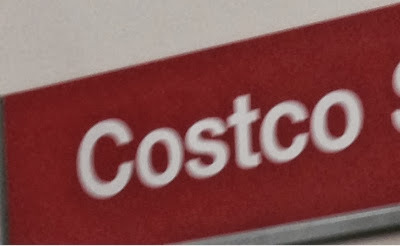 Recently a comment on my blog indicated the reader was unfamiliar with how to tell if an item is on sale at Costco. If the price ends in 7, it's on sale. If it ends in .00, it's on final markdown. This week in my Nashville Costco, Ocean Spray Cranberry Salsa was marked down to $3.97, and the Little Miracles blanket and toy gift sets were $9.97. An electric toy car to ride in was on final sale at $180.00. Winter clothes are on sale now. Women's boot cut Lucky Jeans were marked down, as were women's sweaters and men's jackets.